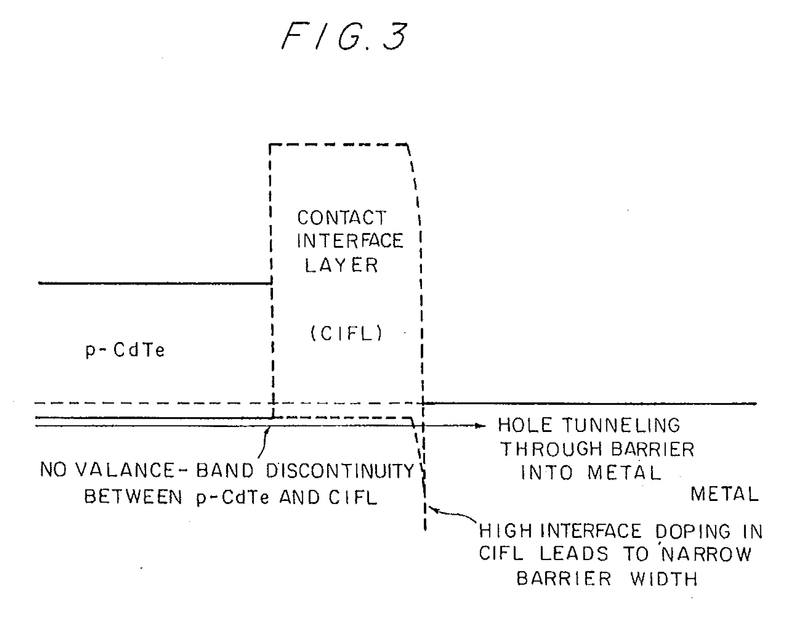 Figure 3 from U.S. Gessert Patent #5,909,632 showing functionality of ZnTe:Cu Contact in a CdTe Photovoltaic Device. U.S. Patent No. 5,897,715, Issued 4/27/99. Interdigitated Photovoltaic Power Conversion Device, J.S. Ward, M.W. Wanlass, T.A. Gessert. U.S. Patent No. 5,909,623, Issued 6/1/99. Use of Separate ZnTe Interface Layers to Form Ohmic Contacts to p-CdTe Films, T.A. Gessert. U.S. Patent No. 6,281,035, Issued 4/24/01. Ion-Beam Treatment to Prepare Surfaces of p-CdTe Films, T.A. Gessert. U.S. Patent No. 7,517,784 B2, Issued 4/14/09. Method for Producing High Carrier Concentration p-Type Transparent Conducting Oxides, X. Li, Y. Yan, T.J. Coutts, T.A. Gessert, C. Dehart. US Patent No. 8,253,012 B2, Issued: 8/28/12. “High Quality Doped ZnO Thin Films,” T.A. Gessert, J. Duenow, T. Barnes, T.J. Coutts. U.S. Patent No. 8,425,978, Issued: 4/23/13. “Fluorine Compounds for Doping Conductive Oxide Thin Films,” T.A. Gessert, X. Li, T. M. Barnes, R. Torres, C.L. Wyse. U.S. Patent No. 8,734,621 B2, Issued 5/27/2014. “Transparent Conducting Oxides and Production Thereof,” T.A. Gessert, Y. Yoshida, T.J. Coutts. U.S. Patent No. 8,747,630, Issued on 6/10/14. “Transparent Conducting Oxides and Production Thereof,” T.A. Gessert, Y. Yoshida, T.J. Coutts. U.S. Patent No. 9.147,793 B2, Issued 9/29/15. “CdTe Devices and Methods of Manufacturing Same,” T.A. Gessert, R. Noufi, R. Dhere, D. Albin, T. Barnes, J. Burst, J.N. Duenow, M. Reese. 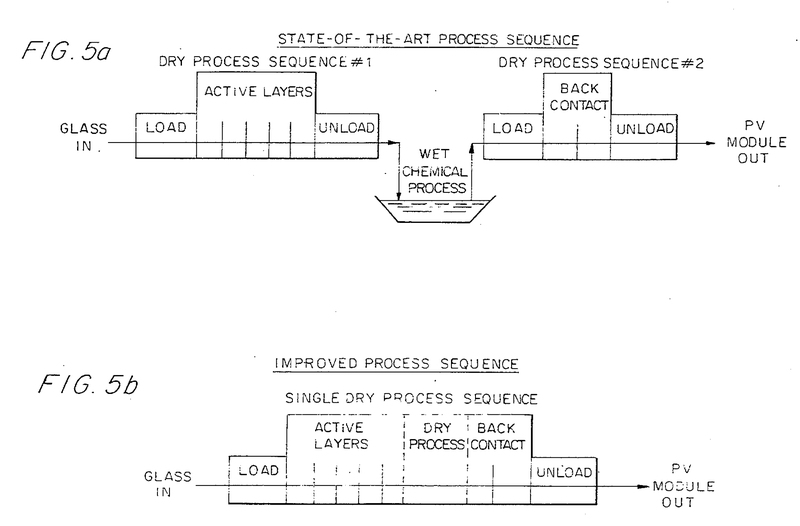 Figure 5 from U.S. Gessert Patent #5,909,632 showing replacement of wet “State-Of-The-Art Process Sequence” with more cost effective vacuum “Single Dry Process Sequence”. 1	. T.A. Gessert, “Mossbauer Investigations of Cadium Sulphide Powders and Colloids;Photoreduction of Fe3+”, Colorado School of Mines Thesis #T-3022 (1984). 2	. A.J. Nozik, T.A. Gessert and D.L. Williamson, “Kinetics of Fe3+ Photoreduction of Semiconductor Powders”, Proc. International Conference on Applications of the Mossbauer Effect, Leuven, Belgium, Sept. (1985). 3	. H. Aharoni, T.J. Coutts, T.A. Gessert, “Ion Beam Sputtered Indium Tin Oxide for InP Solar Cells”, J. Vac. Sci. Technol. A, 4, No. 3, Part 1, p. 428 (1986). 4	. M.W. Wanlass, T.A. Gessert, J.M. Olson, A.E. Blakeslee, M.M. Al-Jassim, A. Kibler, “High Efficiency GaAs0.75P0.25 Solar Cells Grown by One Atmosphere MOCVD”, Proc. 18th IEEE Photovolt. Spec. Conf, Las Vegas, NV, p. 317 (1985). 5	. J.M. Olson, T.A. Gessert and M.M. Al-Jassim, “A Current and Lattice Matched Tandem Solar Cell with a Theoretical Efficiency of 34%”, Proc. 18th IEEE Photovolt. Spec. Conf, Las Vegas, NV, p. 552 (1985). 6	. J.M. Olson, A. Kibbler and T.A. Gessert, “GaInP/GaAs Multijunction Solar Cells”, Solar Cells, 21, pp. 450-451 (1987). 7	. R.G. Dhere, T.A. Gessert, L.L. Shilling, A.J. Nelson, K.M. Jones, H. Aharoni and T.J. Coutts, “Electro-Optical Properties of Thin ITO Films: Limitations on Performance”, Solar Cells, 21, p. 281 (1987). 8	. T.J. Coutts, T.A. Gessert, R.G. Dhere, A.J. Nelson and H. Aharoni, “Ion Beam Sputtered ITO as a Window Layer Material for Photovoltaic Applications”, Rev. Brasil. Apl. Vac., Vol. 6 ns e 2, p. 289 (1986). 9	. T.A. Gessert, D.L. Williamson, T.J. Coutts, A.J. Nelson, K.M. Jones, R.G. Dhere, H. Ahoroni and P. Zurcher, “The Dependence of the Electrical Properties of Ion-Beam Sputtered Indium Tin Oxide on its Composition and Structure”, J. Vac. Sci. Technol. A, 5 (4), p. 1314 (1987). 10	. X. Wu, T.J. Coutts, R.G. Dhere, T.A. Gessert and N.G. Dhere, “InP Based Solar Cells for Space Applications; Reduction of External Losses”, Proc. 19th IEEE PVSC, New Orleans, p. 140 (1987). 11	. T.A. Gessert, A.E. Blakeslee and K.A. Emery, “Effect of n+ Doping Profile on Voc and Yield of GaAs Shallow Homojunction Solar Cells Proc. 19th IEEE PVSC, New Orleans, p. 58 (1987). 12	. N.G. Dhere, T.J. Coutts, X. Wu, R.G. Dhere and T.A. Gessert, “Celulas Solares de InP para Aplicacoes Especiais”, Rivista Brasileira De Aplicacoes de Vacup, 7 (1987). 13	. T.J. Coutts, X. Wu, T.A. Gessert and X. Li, “DC Magnetron Fabrication of ITO/InP Solar Cells,” J. Vac. Sci. Technol. A, 6, (3), Pt. 2, p. 1722 (1988). 14	. E.E. Beck, A.E. Blakeslee and T.A. Gessert, “Applications of GaP/Si Heteroepitaxy to Cascade Solar Cells”, Solar Cells, 24, No. 1-2, p. 205 (1988). 15	. F.J. Pern, J. Goral, T.J. Matsen, T.A. Gessert and R. Noufi, “Device Quality Thin Films of CuInSe2 by a One-Step Electro Deposition Process”, Solar Cells, 24, (1-2), p. 81 (1988). 16	. M.W. Wanlass, T.A. Gessert, K.A. Emery and T.J. Coutts, “An Empirical Study of the Performance of APMOVPE InP Homojunction Solar Cells as a Function of Emitter Thickness and Doping, and Base Doping”, Proc. NASA SPRAT Meeting, April 18-21, Cleveland, OH. (1988). 17	. M.W. Wanlass, T.A. Gessert, K.A. Emery and T.J. Coutts, “An Empirical Investigation of the InP Shallow Homojunction Solar Cell”, Proc. 20th. IEEE Photovolt. Spec. Conf., Las Vegas, NV, p. 491 (1988). 18	. T.J. Coutts, X. Li, M.W. Wanlass, K.A. Emery and T.A. Gessert, “Hybrid Solar Cells Based on DC Magnetron Sputtered Films of n-ITO on APMOVPE p-InP”, Proc. 20th. IEEE Photovolt. Spec. Conf., Las Vegas, NV, p. 66 (1988). 19	. X. Li, M.W. Wanlass, T.A. Gessert, K.A. Emery and T.J. Coutts, “High Efficiency Solar Cells Fabricated from Direct-Current Magnetron Sputtered n-Indium Tin Oxide onto p-InP Grown by Atmospheric Pressure Metalorganic Vapor Phase Epitaxy”, J. Vac. Sci. Technol. A, 7, p. 827 (1989). 20	. T.A. Gessert, M.W. Wanlass, T.J. Coutts, X. Li and G.S. Horner, “Aspects of Processing InP-Related Solar Cells” Proc. of the SERI 9th PVAR&D Meeting, Lakewood, CO, May 24-26 (1989), Solar Cells, Vol. 27, No. 1-4, p. 307 (1989). 21	. M.W. Wanlass, K.A. Emery, T.A. Gessert, G.S. Horner, C.R. Osterwald and T.J.Coutts, “Practical Considerations in Tandem Cell Modeling”, Solar Cells, 27, (1-4), p. 191 (1989). 22	. X. Li, M.W. Wanlass, T.A. Gessert, K.A. Emery and T.J. Coutts, “High Efficiency Indium Tin Oxide/Indium Phosphide Solar Cells”, Appl. Phys. Lett. 54, p. 2674 (1989). 23	. M.W. Wanlass, T.A. Gessert, K.A. Emery and T.J. Coutts, “An Empirical Study of the Performance of APMOVPE AM0 InP Homojunction Solar Cells as a Function of Emitter Thickness and Doping, and Base Doping”, Proc. NASA SPRAT Conf., Cleveland, OH, April 19-21, p. 79 (1988). 24	. T.J. Coutts, M.W. Wanlass, X.Li, T.A. Gessert and I. Weinberg, “A Review of Recent Progress in InP Solar Cells for Space Application”, Proc. 4th. International Photovoltaic Science and Engineering Conference, Sydney, Australia, February 14-17, p. 499 (1989). 25	. X. Li, T.E. Furtak, T.A. Gessert, M.W. Wanlass and T.J. Coutts, “A Study of Type Conversion Caused by DC-Magnetron Sputtering of ITO onto InP During Solar Cell Fabrication”, Proc. of the 1989 Industry-University Advanced Materials Conference, Denver, CO, March 6-9 1989, (Advanced Materials Institute, Golden, CO) p. 34-46 (1989). 26	. T.J. Coutts, X.Li, T.A. Gessert and M.W. Wanlass, “A Review of ITO/InP Solar Cells”, Proc. First International Conference on Indium Phosphide and Related Materials for Advanced Electronic and Optical Devices, Norman, OK, March 20-22 (1989), SPIE Proceedings Vol. 1144, p. 466 (1989). 27	. T.A. Gessert, X. Li, T.J. Coutts, M.W. Wanlass and A.B. Franz, “Aspects of Processing Indium Tin Oxide/InP Solar Cells” Proc. First International Conference on Indium Phosphide and Related Materials for Advanced Electronic and Optical Devices, Norman, OK, March 20-22 (1989), SPIE Proceedings Vol. 1144 p. 476 (1989). 28	. M.W. Wanlass, G.S. Horner, T.A. Gessert and T.J. Coutts, “Epitaxial InP and Related Compounds Applied to Solar Cells”, Proc. First International Conference on Indium Phosphide and Related Materials for Advanced Electronic and Optical Devices, Norman, OK, March 20-22 (1989), SPIE Proceedings Vol. 1144, p. 445 (1989). 29	. T.A. Gessert, D.L. Williamson and A.J. Nozik, “Mossbauer Spectroscopy Study of the Kinetics of Photoreduction of Fe3+ on CdS Semiconductor Powders”, J. Phys. Chem., 94, (5), p. 1958 (1990). 30	. T.A. Gessert, X. Li, M.W. Wanlass, A.J. Nelson and T.J. Coutts, “Investigation of Buried Homojunctions in p-InP Formed During Sputter Deposition of Both Indium Tin Oxide and Indium Oxide”, J. Vac. Sci. Technol. A, 8, (3), Part 1, p. 1912 (1990). 31	. T.A. Gessert, X. Li, M.W. Wanlass and T.J. Coutts, “Recent Advances in the ITO/InP Solar Cell”, Proc. of the 10th NASA SPRAT Conf., NASA Conference Publication 3107 (NASA, Cleveland, OH, USA) pp. 257-269 (1990). 33	. T.A. Gessert, X. Li, M.W. Wanlass and T.J. Coutts, “Progress in the ITO/InP Solar Cell”, Proc. Second International Conference on InP and Related Materials, Denver, Colorado, April 1990, Proceedings – IEEE Cat. No. 90CH2859-7, p. 260 (1990). 34	. T.A. Gessert and T.J. Coutts, “Requirements of Electrical Contacts to Photovoltaic Solar Cells”, MRS Conf. Proc. 181 (MRS, Pittsburgh, PA, USA) p. 301 (1990). 35	. T.A. Gessert, X. Li, M.W. Wanlass and T.J. Coutts, “Buried Homojunction Solar Cells Formed in p-InP During Sputter Deposition and Hydrogen Plasma Processing”, Proc. of the 21st IEEE Photovolt. Spec. Conf. (IEEE, New York, USA), p.153 (1990). 36	. M.W. Wanlass, J.S. Ward, T.A. Gessert, K.A. Emery, G.S. Horner and T.J. Coutts, “Development of High-Performance GaInAsP Solar Cells for Tandem Solar Cell Applications”‘ Proc. of the 21st IEEE Photovolt. Spec. Conf. (IEEE, New York, USA), p. 172 (1990). 37	. T.A. Gessert, X. Li and T.J. Coutts, “Practical Guidelines for Grid Metallization in Photovoltaic Solar Cell Research”, Solar Cells, 30, pp. 459-472 (1991). 38	. M.W. Wanlass, J.S. Ward, K.A. Emery, T.A. Gessert, C.R. Osterwald and T.J. Coutts, “High-Performance Concentrator Tandem Solar Cells Based on IR-Sensitive Bottom Cells”, Solar Cells, 30, pp. 363-371 (1991). 39	. T.A. Gessert, X. Li, T.J. Coutts, P.W. Phelps and N. Tzafaras, “Small-Scale Production of 4 cm2 ITO/InP Solar Cells,” Proc. of the 3rd International Conferrence on Indium Phosphide and Related Materials, April 8-11, 1991, Cardiff, Wales, UK. (IEEE LEOS Cat. No. 91CH2950-4) pp. 32-35 (1991). 40	. T.J. Coutts, M.W. Wanlass, T.A. Gessert, X. Li and J.S. Ward, “Progress in InP-Based Solar Cells,” Proc. of the 3rd International Conferrence on Indium Phosphide and Related Materials, April 8-11, 1991, Cardiff, Wales, UK. (IEEE LEOS Cat. No. 91CH2950-4) pp. 20-31 (1991). 41	. X. Li, T.A. Gessert and T.J. Coutts, “Near-Surface Type Conversion of p-type Single-Crystal InP by Plasma Exposure,” Proc. of the 2nd International Meeting on Advanced Processing and Characterization Technologies, May 8-10, 1991, Clearwater Beach, Florida, (AIP Conf. Proc. No. 227, AVS Series 10) pp. 126-129 (1991). 42	. T.A. Gessert, X. Li, T.J. Coutts and N. Tzafaras, “Fabrication and Performance Analysis of 4-cm2 ITO/InP Photovoltaic Solar Cells,” Proc. 11th NASA SPRAT Conf., pp. 2.1-2.8 (1991). 43	. M.W. Wanlass, J.S. Ward, T.J. Coutts, K.A. Emery, T.A. Gessert and C.R. Osterwald, “Monolithic InP/Ga0.47In0.53As Tandem Solar Cells for Space”. Proc. 11th NASA SPRAT Conf. pp. 16.1-16.10 (1991). 44	. I. Adesida, D.G. Ballegeer, J.W. Seo, A. Ketterson, H. Chang, K.Y. Cheng and T.A. Gessert, “Etching of Indum Tin Oxide in Methane/Hydrogen Plasmas,” J. Vac. Sci. Technol. B, 9, (6), pp. 3551-3555 (1991). 45	. M.W. Wanlass, T.J. Coutts, J.S. Ward, K.A. Emery, T.A. Gessert, and C.R. Osterwald, “Advanced High-Efficiency Concentrator Tandem Solar Cells,” Proc. 22nd IEEE Photovolt. Spec. Conf., pp. 38-45 (1991). 46	. T.A. Gessert, X. Li, T.J. Coutts, and N. Tzafaras, “Pilot Production of 4 cm2 ITO/InP Photovoltaic Solar Cells,” Proc. 22nd IEEE Photovolt. Spec. Conf., pp. 1474-1479 (1991). 47	. T.A. Gessert and T.J. Coutts, “Optimization and Fabrication of Metal Contacts for Photovoltaic Solar Cells,” A Chapter in: Indium Phosphide and Related Materials: Processing, Technology and Devices. A Katz, Ed., (Artech House, 1992) ISBN: 0-89006-512-8, pp. 407-442. 48	. T.A. Gessert and T.J. Coutts, “Grid Metallization and Antireflection Coating Optimization for Concentrator and One-Sun Photovoltaic Solar Cells,” J. Vac. Sci. Technol, A 10 (4), pp. 2013-2023 (1992). 49	. T.A. Gessert, X. Li, G.E. Flowers, E.E. Beck and T.J. Coutts, “Effects of Pure-Hydrogen and Pure-Argon Plasmas on the Near-Surface Type Conversion of p-InP,” Proc. of the 4th Int. Conf. on InP and Related Materials, Newport, RI, April 20-24, 1992 (IEEE/LEOS, Piscataway, NJ, USA) pp. 328-331 (1992). 50	. X. Li, T.A. Gessert, and T.J. Coutts, “The Interface Properties of ITO/p-InP Due to dc Magnetron Sputter Deposition in Hydrogen,” Proc. of the 4th Int. Conf. on InP and Related Materials, Newport, RI, April 20-24 (IEEE/LEOS, Piscataway, NJ, USA) pp. 310-313 (1992). 51	. J-W. Seo, A.A. Ketterson, D.G. Ballegeer, E.J. Roan, K.Y. Cheng, I. Adesida, X. Li and T.A. Gessert, “Processing of Indium-Tin-Oxide for High Speed Metal-Semiconductor-Metal Photodetectors,” Proc. of the 1992 Electronic Materials Conference, Boston, MA. 52	. J-W. Seo, A.A. Ketterson, D.G. Ballegiir, K-Y. Cheng, I. Adesida, X. Li, and T. A. Gessert, “A Comparative Study of Metal-Semiconductor-Metal Photodetectors with Indium-Tin-Oxide and Ti/Au Electrodes,” IEEE Photonics Technology Letters, 4, (8). pp. 888-890 (1992). 53	. Y. Qu, T.A. Gessert, K. Ramanathan, R.G. Dhere, R. Noufi and T.J. Coutts, “Electrical and Optical Properties of Ion-Beam Sputtered ZnO:Al as a Function of Film Thickness, J. Vac. Sci. Technol. A, 11 (4) pp. 996-1000 (1993). 54	. M.F. Piszcor, Jr., T.A. Gessert, N.M. Pearshall, and C. Goodbody, “A Comparison of the Performance of ITO/InP Cells Flown on the UoSAT-5 Flight Experiment,” Proc. of the 23rd IEEE Photovoltaics Specialists Conference (IEEE, Piscataway, NJ, USA) pp.1479-1482 (1993). 55	. T.A. Gessert and T.J. Coutts, “Development and Analysis of Cu-Doped ZnTe for use as a Back Contact Interface for CdS/CdTe Solar Cells,” Presented at the 12th NREL Photovoltacis Program Review Meeting, Denver, Oct. 13-15, AIP Conf. Proc. #306 (AIP, Woodbury, New York, USA), pp. 345-353 (1994). 56	. T.A. Gessert, X. Li, T.J. Coutts, A.R. Mason, and R.J. Matson, “Dependance of Material Properties of rf-magnetron-sputtered, Cu-doped, ZnTe Thin Films on Deposition Conditions” J. Vac. Sci. Technol. A 12, (4) pp. 1507-1512 (1994). 57	. X. Li, T.A. Gessert, R.J. Matson, J.F. Hall, and T.J. Coutts. “Microstructural Study of Sputter-deposited CdTe Thin Films,” J. Vac. Sci. Tecnol. A 12, (4) pp. 1608-1613 (1994). 58	. Y. Qu, T.A. Gessert, T.J. Coutts, and R. Noufi, “A Study of Ion-Beam-Sputtered ZnO Films as a Function of Deposition Temperature,” J. Vac. Sci. Technol. A 12 (4) pp. 1507-1512 (1994). 59	. T.A. Gessert, A.R. Mason, R.C. 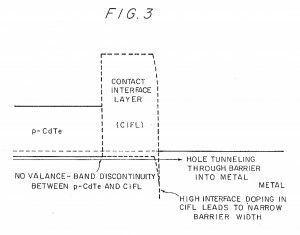 Reedy, R. Matson, T.J. Coutts, and P. Sheldon, “Development of rf-Sputtered, Cu-Doped ZnTe for use as a Contact Interface Layer to p-CdTe,” Journal of Electronic Materials, 24 (10) 1443-1449 (1995). 60	. T.A. Gessert, A.R. Mason, P. Sheldon, A.B. Schwartzlander, and T.J. Coutts, Development of Cu-Doped ZnTe as a Back-Contact Interface Layer for Thin-film CdS/CdTe Solar Cells,” J. Vac. Sci. Technol. A, 14 (3) 906-812 (1996). 61	. D. W. Niles, X. Li, D. Albin, D. Rose, T.A. Gessert, and P. Sheldon, “Evaporated Te on CdTe; A Vacuum Compatible Approach to Making Back Contacts to CdTe Solar Cell Devices”, Prog. Photovolt. : Res. and Appl., 2, pp. 225-229 (1996). 62	. T.A. Gessert, “A Fundamental Study of the Electrical and Optical Properties of Thin-Film, r.f.-Sputter-Deposited, Cu-Doped ZnTe”, Ph.D. Thesis – Physics, University of Wales, College of Cardiff, July 1996. 65	. T.A. Gessert, P. Sheldon, X. Li, D. Dunlavy, D. Niles, R. Sasala, S. Albright, B. Zadler, Studies of ZnTe Back Contacts to CdS/CdTe Solar Cells, Proc. 26th IEEE Photovolt. Spec. Conf., p. 419-422 (1997). 66	. D.H. Levi, L.M. Woods, D.S. Albin, T.A. Gessert, D.W. Niles, A. Swartzlander, D.H. Rose, R.K. Ahrenkiel, and P. Sheldon, “Back Contact Effects on Junction Photoluminescence in CdTe/CdS Solar Cells,” Proc. 26th IEEE Photovolt. Spec. Conf. p. 351-354 (1997). 70	. D.M. Waters, D. Niles, T. Gessert, D. Albin, D. Rose, and P. Sheldon. “Surface Analysis of CdTe After Various Pre-Contact Treatments”, Proc. Of the 2nd World Conference on Photovoltaic Solar Energy Conversion, July 6-10, 1998, (European Commission, Luxembourg, 1998) p. 1031 (1998). 71	. D.H. Levi, L.M. Woods, D.S. Albin, T.A. Gessert, R.C. Reedy, and R.K. Ahrenkiel. “The Influence of Grain Boundary Diffusion on the Electro-Optical Properties of CdTe/CdS Solar Cells”, Proc. Of the 2nd World Conference on Photovoltaic Solar Energy Conversion, Vienna, Austria (European Commission, Luxembourg, 1998) p. 1047 (1998). 72	. C. Narayanswamy, T.A. Gessert, S.E. Asher, “Analysis of Cu Diffusion in ZnTe Based Contact for Thin-Film CdS/CdTe Solar Cells”, NCPV Program Review Meeting, Sept. 8-11, 1998. AIP Conf. Proc. 462, p. 248 (1998). 73	. R. Dhere, H.R. Moutinho, S. Asher, D. Young, X. Li, R. Ribelin, and T.A. Gessert, “Characterization of SnO2 Films Prepared Using Tin Tetrachloride and Tetramethyl Tin”, NCPV Program Review Meeting, Sept. 8-11, 1998. AIP Conf. Proc. 462, p. 242 (1998). 74	. D.H. Levi, L.M. Woods, D.S. Albin and T.A. Gessert, and Dave Albin, “Back Contact Effects on the Electro-Optical Properties of CdTe/CdS Solar Cells,” 2nd NCPV Program Review Meeting, Sept. 8-11, 1998. AIP Conf. Proc. 462, p. 461 (1998). 74	. D.H. Rose, F.S. Hasoon, R.G. Dhere, D.S. Albin, R.M. Ribelin, X.S. Li, Y. Mahathongdy, T.A. 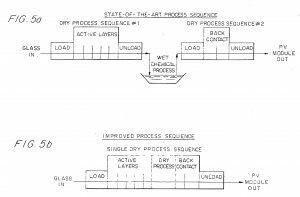 Gessert, and P.Sheldon “Fabrication Procedures and Process Sensitivities for CdS/CdTe Solar Cells,” Progress In Photovoltaics: Research and Applications, 7 (5), pp. 331-340 (1999). 75	. D.L. Schulz, R. Ribelin, X. Wu, K.M. Jones, R.J. Matson, C.J. Curtis, T.A. Gessert, and D.S. Ginley, “Solar Cell Contacts Using Nano-sized Dispersions,” Proc. MRS, 581 (MRS, Warrendale, PA, USA), 157-162 (2000). 76	. T.A. Gessert, C. Narayansyamy, S. Asher, and D. Rose, “Copper in Contacts to CdTe”, Proc. 2000 NCPV Program Review Meeting, Denver, CO, April 16-19, pp. 35-36 (2000). 77	. T.M. Mazur, T.A. Gessert, G. Martins, and C. Curtis, “Analysis of Moisture and CO2 Uptake of Anhydrous CdCl2 Powders used for Vapor CdCl2 Treatment of CdS/CdTe PV Devices”, Proc. 2000 NCPV Program Review Meeting, Denver, CO, April 16-19, pp. 263-264 (2000). 78	. R. Dhere, M. Cheong, S. Smith, D. Albin, A. Mascarenhas, and T. A. Gessert, “µ-PL Studies of Polycrystalline CdS/CdTe Interfaces”, Proc. 2000 NCPV Program Review Meeting, Denver, CO, April 16-19, p. 281-282 (2000). 79	. S.E. Asher, R.C. Reedy, Jr., R. Dhere, T.A. Gessert, and M.R. Young, “Determination of Cu Concentrations in CdTe/CdS Devices by High Mass Resolution Secondary Ion Mass Spectroscopy”, Proc. 2000 NCPV Program Review Meeting, Denver, CO, April 16-19, pp. 275-276 (2000). 80	. X. Li, D. Young, H. Moutinho, Y. Yang, C. Narayanswamy, T.A. Gessert, and T.J. Coutts, “Properties of CdO Thin Films Produced by Chemical Vapor Deposition,” Electrochemical and Solid State Letters, 4 (6) C42-C46 (2001). 81	. S. Asher, F. Hasoon, T. Gessert, M. Young, P Sheldon, J. Hiltner, and J. Sites, “Determination of Cu in CdTe/CdS Devices Before and After Accelerated Stress testing,” Proc. 28th IEEE PV Specialists Conference (IEEE, Piscataway, NJ, USA), pp. 479-482 (2000). 83	. X. Wu, R. Ribelin, R. Dhere, S. Albin, T. Gessert, “High-Efficiency Cd2SnO4/Zn2SnO4/ZnxCd1-xS/CdS/CdTe Polycrystalline Solar Cells,” Proc. 28th IEEE PV Specialists Conference (IEEE, Piscataway, NJ, USA)), pp. 470-474 (2000). 84	. T.M. Barnes, X. Li, C. Dehart, H. Moutinho, S. Asher, Y. Yan, and T.A. Gessert, “Electrical, Optical, and Structural Properties of Fluorine-Doped Cadmium Oxide Thin Films,” Mat. Res. Soc. Symp. Proc. 666 (MRS, Warrendale, PA, USA) pp. F1.8.1 –F1.8.6 (2001). 85	. R.G. Dhere, D.S. Albin, S.E.Asher, H.R. Moutinho, and T.A. Gessert, “Preparation and Characterization of CdSxTe1-xAlloy Films,” MRS Symposium Proceedings 669 (MRS, Warrendale, PA, USA) pp. H5.21.1-H5.21.6 (2001). 86	. T.A. Gessert, M.J. Romero, C.L. Perkins, S.E. Asher, R. Matson, H. Mountinho, and D. Rose, “Microscopic Analysis of Residuals on Polycrystalline CdTe Following Wet CdCl2 Treatment,” Mat. Res. Soc. Symp. Proc. Vol. 669 (MRS, Warrendale, PA, USA), pp. H1.10.1-H1.10.6 (2001). 87	. X. Li, T.A. Gessert, T.J. Coutts, “Doping Effects on CdO Thin Films,” Mat. Res. Soc. Symp. Proc. 666 (MRS, Warrendale, PA, USA) pp. F3.18.1 –F3.18.6 (2001). 88	. H.G. Tompkins and T.A. Gessert, “Pumps Used in Vacuum Technology, 2nd Ed.,” AVS Monograph Series # M-9, (Education Committee of the American Vacuum Society) (2001). 89	. X. Wu, S. Asher, D.H. Levi, D.E. King, Y. Yan, T.A. Gessert, and P. Sheldon, “Interdiffusion of CdS and Zn2SnO4 Layers and its Application in CdS/CdTe Polycrystalline Thin-Film Solar Cells,” J. Appl. Phys. 89 (8), 4564-4569 (2001). 90	. R.G. Dhere, M.M. Al-Jassim, Y. Yan, K.M. Jones, H.R. Moutinho, T.A. Gessert, P. Sheldon, L.L. Kazmerski, “CdS/CdTe Interface Analysis by Transmission Electron Microscopy,” J. Vac. Sci. Technol. A. 18 (4) 1604-1608, 2000. 91	. X. Li, Y. Yan, A. Mason, T.A. Gessert and T.J. Coutts, “High-Mobility CdO Films and the Dependence of Mobility on Structure,” Electrochemical and Solid State Letters, 4 (9) C66-C68 (2001). 92	. T.J. Coutts, J.S. Ward, D.L Young, T.A. Gessert, and R. Noufi, “The Search for Potential Impact of Improved Transparent Conducting Oxides on Thin Film Solar Cells,” PVSEC, Korea, 2001. 93	. T.A. Gessert, M.J. Romero, and S. E. Asher, “Effect of Heating, Ion-Beam Milling, and ZnTe:Cu Deposition on the Spectroscopic Cathodoluminescence of Polycrystalline CdTe,” Proc. of NREL NCPV Review Meeting, Lakewood, CO, Oct. 14-17, pp. 189-190 (2001). 94	. X. Wu, R.G. Dhere, D.S. Albin, T.A. Gessert, C. DeHart, J.C. Keane, A. Duda, T.J. Coutts, S. Asher, D.H. Levi, H.R. Moutinho, Y. Yan, T. Moriarty, S. Sohnston, K. Emery, and P. Sheldon, “High-Efficiency CTO/ZTO/CdS/CdTe Polycrystalline Thin-Film Solar Cells,” Proc. of NREL NCPV Review Meeting, Lakewood, CO, Oct. 14-17, pp 47-48 (2001). 95	. X. Li, T. Gessert, C. DeHart, T. Barnes, H. Moutinho, Y. Yan, D. Young, M. Young, J. Perkins, and T. Coutts, “A Comparison of Transparent Conducting Oxides Based on the Binary Compounds CdO and SnO2,” Proc. of NREL NCPV Review Meeting, Lakewood, CO, Oct. 14-17, pp 255-256 (2001). 96	. M.J. Romero, T.A. Gessert, M.M. Al-Jassim, R.G. Dhere, D.S. Albin, and H. R. Moutinho, “The Role of Interfaces in Thin-film Solar Cells,” Mat. Res. Soc. Symp. Proc. Vol. 719 (MRS, Warrendale, PA, USA), pp. F8.40.1-F8.40.6 (2002). 97	. D. Albin, R. Dhere, X. Wu, T. Gessert, M.J. Romero, Y. Yan, and S. Asher, “Perturbation of Copper Substitutional Defect Concentration in CdS/CdTe Heterojunction Solar Cells,” Mat. Res. Soc. Symp. Proc. Vol. 719 (MRS, Warrendale, PA, USA), pp. F8.34.1-F8.34.6 (2002). 98	. X. Wu, J.C. Keane, R.G. Dhere, C. DeHart, D.A. Albin, A. Duda, T.A. Gessert, S. Asher, D.H. Levi, and P. Sheldon, “16.5% Efficient CdS/CdTe Polycrystalline Thin-film Solar Cell,” 17th European Photovoltaic Solar Energy Conference, October 22-26, 2001, Munich Germany (WIP-Renewable Energies, Munchen, Germany), pp. 995-1000 (2002). 99	. M.J. Romero, M.M. Al-Jassim, R.G. Dhere, F.H. Hasoon, M.A. Contreras, T.A. Gessert, H.R. Moutinho, “Beam Injection Methods for Characterizing Thin-Film Solar Cells,” Progress In Photovoltaics: Research and Applications, 10 pp. 1-11 (2001). 100	. M.J. Romero, T.A. Gessert, M.M. Al-Jassim, “Carrier Diffusion and Radiative Recombination in CdTe Thin Films,” Appl. Phys. Lett., 81, (17), pp 3161-3162 (2002). 101	. R. Dhere, X. Wu, D. Albin, C. Prkins, H. Moutinho, and T. Gessert. “Formation of CdSxTe1-x Alloys and their Correlation to the Properties of CdS/CdTe Thin Films,“ Proc. 29th IEEE PV Specialists Conference (IEEE, Piscataway, NJ, USA), pp. 484-487 (2002). 102	. T.A. Gessert, M.J. Romero, S. Johnston, B. Keys, and P. Dippo, “Spectroscopic Cathodoluminescence Studies of the ZnTe:Cu Contact process for CdS/CdTe Solar Cells,” Proc. 29th IEEE PV Specialists Conference (IEEE, Piscataway, NJ, USA), pp. 535-538 (2002). 103	. D.L. Young, J. Abushama, R. Noufi, X. Li, J. Keane, T.A. Gessert, J.S. Ward, M. Contreras, M. Symko-Davies, and T.J. Coutts, “A New Thin-Film CuGaSe2/Cu(In,Ga)Se2 Bifacial, Tandem Solar Cell with both Junctions Formed Simultaneously,” Proc. 29th IEEE PV Specialists Conference (IEEE, Piscataway, NJ, USA), pp. 608-611 (2002). 104	. X. Li, Y. Yan, T.A. Gessert, C. DeHart, C.L. Perkins, and T.J. Coutts, “p-Type ZnO Thin Films Formed by CVD Reaction of DEZ and NO Gas,” Electrochemical and Solid State Letters, 6 (4) C56-C58 (2003). 105	. Y. Yoshida, T.A. Gessert, C.L. Perkins, T.J. Coutts, “Development of Radio Frequency Magnetron Sputtered Indium Molybdenum Oxide,” J. Vac. Sci. Technol. A 21 (4) 1092-1097 (2003). 106	. Y. Yoshida, C. Warmsingh, T.A. Gessert, J. D. Perkins, D.S. Ginley, and T.J. Coutts, “Thin Fillm Indium Oxide Doped with Refractory Metals,” Mat. Res. Soc. Symp. Proc. Vol. 747 (MRS, Warrendale, PA, USA), pp. V1.4.1-V1.4.6 (2003). 107	. X. Li, Y. Yan, T.A. Gessert, C.L. Perkins, D. Young, C. DeHart, M. Young, “Chemical Vapor Deposition-Formed p-Type ZnO Thin Films,” J. Vac. Sci. Technol. A. 21 (4) 1342-1346 (2003). 108	. T. Gessert, T. Coutts, A. Duda, R. Dhere, S. Johnston, and D. Levi, “ZnTe:Cu Contact Optimization Strategies for Single-Junction and Multijunction CdS/CdTe PV Device Designs,” Proc. NCPV Solar Program Review Meeting, Denver, CO, March 24-26, NREL/CD-520-33586, pp. 409-412 (2003). 109	. C. Warmsingh, Y. Yoshida, D. Readey, J. Perkins, P. Parilla, C. Teplin, T, Kaydanova, J. Alleman, L. Gedvilas, B. Keys, T. Gessert, T. Coutts, and D. Ginley, “Highly Conductive Textured Molybdenum Doped Indium Oxide Thin Films,” Proc. NCPV Solar Program Review Meeting, Denver, CO, March 24-26, NREL/CD-520-33586, pp. 316-318 (2003). 110	. M.J. Romero, W. Metzger, T.A. Gessert, D.A. Albin, M.M. Al-Jassim, “Spatially Resolved Cathodouminescence of CdTe Thin Films and solar Cells,” Proc. NCPV Solar Program Review Meeting, Denver, CO, March 24-26, NREL/CD-520-33586, pp. 405-408 (2003). 111	. X. Li, T.A. Gessert, and T. Coutts, “The Properties of Cadmium Tin Oxide Thin –Film Compounds Prepared by Linear Combinatorial Synthesis,” Applied Surface Science, 223, pp. 138-143 (2003). 112	. T.A. Gessert, M.J. Romero, R.G. Dhere, and S.E. Asher, “Analysis of the ZnTe:Cu Contact on CdS/CdTe Solar Cells,” Mat. Res Soc. Symp. Proc. 763 (MRS, Warrendale, PA, USA), pp. 133-138 (2003). 113	. R. Dhere, T. Gessert, J. Zhou, S. Asher, J. Pankow, and H. Moutinho. “Investigation of CdZnTe for Thin-Film Tandem Solar Cell Applications,” MRS Symp. Proceed. Vol. 763 (MRS, Warrendale, PA, USA), pp. 409-414 (2003). 114	. T.A. Gessert, M.J. Romero, R.G. Dhere, S. Johnston, and A. Duda, “Cross-sectional, Spectroscopic Cathodoluminescence Studies of the ZnTe:Cu Contact Process for CdS/CdTe Solar Cells,” Proc. 3rd WCPEC, Osaka, Japan (WCPEC-3 Organizing Committee, USA) pp. 348-351 (2003). 115	. Y. Yoshida, C. Warmsingh, T. A. Gessert, D. L. Young, D. M. Wood, J. D. Perkins, D. S. Ginley, and T. J. Coutts, “Molybdenum-Doped Indium Oxide Deposited by Radio-Frequency Magnetron Sputtering and Pulsed Laser Deposition,” Proc. 3rd WCPEC, Osaka, Japan (WCPEC-3 Organizing Committee) pp. 34-37 (2003). 116	. R. Noufi, T.J. Coutts, D.L. Young, M. Contreas, J.S. Ward, R.G. Dhere, T. Gessert, K. Ramanathan, and M. Symko-Davies, “Toward 25%-Efficient Polycrystalline Thin-film Tandem Cells: Critical Issues,” Proc. 3rd WCPEC, Osaka, Japan (WCPEC-3 Organizing Committee) pp. 12-14 (2003). 117	. D.L. Young, M. Contreras, M. Romero, S. Asher, C. Perkins, T. Gessert, J. Keane, T.J. Coutts, R. Noufi, “Interconnect Junctions for Thin-Film Tandem Solar Cells,” Proc. 3rd WCPEC, Osaka, Japan (WCPEC-3 Organizing Committee) pp. 27-30 (2003). 118	. L.L. Kerr, T.J. Anderson, O.D. Crisalle, S. Li, X. Li, R. Noufi, T. Coutts, M. Bai, S. Asher, and T. Gessert, “Thermodynamic Modeling of F Doping of SnO2,” Proc. 3rd WCPEC, Osaka, Japan (WCPEC-3 Organizing Committee) pp. 303-306 (2003). 119	. T.J. Coutts, J.S. Ward, D.L. Young, K.A. Emery, T.A. Gessert, and R. Noufi, “Critical Issues in the Design of Thin-Film Tandem Solar Cells,” Progress In Photovoltaics: Research and Applications Vol. 11, pp. 359-375 (2003). 120	. Y. Yoshida, T.A. Gessert, T.J. Coutts, High Mobility, Sputtered Films of Indium Oxide doped with Molybdenum. Appl. Phys. Lett. 84 (12) pp. 2097-2099 (2004). 121	. J. Zhou, X. Wu, G. Teeter, B. To, Y. Yan, R.G. Dhere, and T.A. Gessert, “CBD-Cd1-xZnxS Thin Films and Their Applications in CdTe Solar Cells,” Phys. Stat. Sol. B 241 (3) pp.775-778 (2004). 122	. R. Dhere, T. Gessert, J. Zhou, J. Pankow, S. Asher, and H. Moutinho, “Development of CdxZn1-xTe Alloy Thin Films for Tandem Solar Cell Applications,” Phys. Stat. Sol. B 241 (3) pp. 771-774 (2004). 123	. T.A. Gessert, C.L. Perkins, S.E. Asher, A. Duda, M.R. Young, “Study of ZnTe:Cu/Metal Interfaces in CdS/CdTe Photovoltaic Solar Cells,” Mat. Res Soc. Symp. Proc. Vol. 796 (MRS, Warrendale, PA, USA), pp. 79-84 (2004). 124	. S. Smith, P. Zhang, T. Gessert, and A. Mascarenhas, “Near-Field Optical Beam-Induced Currents in CdTe/CdS Solar Cells: Direct Measurement of Enhanced Photo-response at Grain Boundaries,” Appl. Phys. Lett. 85 (17) 3854-3856 (2004). 125	. C.R. Corwine, J.R. Sites, T.A. Gessert, W.K. Metzger, P. Dippo, J. Li, A. Duda, and G. Teeter, “CdTe Photoluminescence: Comparison of Solar-cell Material with Surface-modified Crystals” Appl. Phys. Lett. 86 221909 (2005). 126	. T. Gessert, X. Wu, R. Dhere, H. Moutinho, S. Smith, M. Romero, C. Corwine, J. Zhou, and A. Duda, “Advances in the In-House CdTe Research Activities at NREL” Proc. NREL Solar Program Review Meeting, DOE/GO Pub. No. 102005-2067, pp. 206-207 (2004). 127	. S. Smith, R. Dhere, T. Gessert, Stradins, T. Wang, Q. Wang, A. Mascarenhas, “Spatially –Resolved Studies of Grain-Boundary Effects in Polycrystalline Solar Cells Using Micro-Photoluminescence and Near-Field Microscopy,” Proc. NREL Solar Program Review Meeting, DOE/GO Pub. No. 102005-2067, pp. 153-154 (2004). 128	. G. Teeter, T. Gessert, S. Asher, and C. Corwine, “XPS and AES Studies of Cu/CdTe(111)-B,” Proc. NREL Solar Program Review Meeting, DOE/GO Pub. No. 102005-2067, pp. 204-205 (2004). 129	. T.A. Gessert, S. Smith, T. Moriatry, M. Young, S. Asher, S. Johnston, A. Duda, C. DeHart, and A.L. Fahrenbruch “Evolution of CdS/CdTe Device Performance During Cu Diffusion” Proc. 31th IEEE PV Specialists Conference (IEEE, Piscataway, NJ, USA), pp. 291-294 (2005). 130	. S. Smith, R. Dhere, T. Gessert, P. Stradins, T. Wang, K. Ramanathan, R. Noufi, A. Mascarenhas, “Sub-Micron Optoelectronic Properties of Polycrystalline Solar Cell Materials,” Mater. Res. Soc. Symp Proc. 865 (MRS, Warrendale, PA, USA), pp. 27-31 (2005). 131	. J. Zhou, X. Wu, and T.A. Gessert, Y. Yan, G. Teeter, and H.R. Moutinho, “Optimization of r.f. Sputtered ITO Films for High IR Transparency at Low Deposition Temperature,” Mater. Res. Soc. Symp Proc. 865 (MRS, Warrendale, PA, USA), pp. 387-392 (2005). 132	. X. Wu, J. Zhou, A. Duda, J.C. Keane, T.A. Gessert, Y Yan, and R. Noufi, “High-Efficiency CdTe Polycrystalline Thin-Film Solar Cells with an Ultra-Thin CuxTe Transparent Back-Contact,” Mater. Res. Soc. Symp. Proc. 865 (MRS, Warrendale, PA, 2005), pp. 347-352. 133	. C.R. Corwine, T.A. Gessert, J.R. Sites, W.K. Metzger, P. Dippo, J. Li, A. Duda, and G. Teeter, “Photoluminescence Studies on Cu and O Defects in Crystalline and Thin-film Samples,” Mater. Res. Soc. Symp Proc. Vol. 865 (MRS, Warrendale, PA, USA), pp. 197-202 (2005). 134	. X. Wu, J. Zhou, J.C. Keane, R.G. Dhere, D.S. Albin, T.A. Gessert, A. Duda, Y. Yan, R. Noufi, “Advances in the CdTe R&D Approaches at NREL,” Proc. 15th Int. Photovolt. Sci. and Eng. Conf., Shanghai, China, 10/14/05 (2005). 135	. X. Wu, J. Zhou, A. Duda, J.C. Keane, T.A. Gessert. Y Yan, and R. Noufi, “13.9%-Efficient CdTe Polycrystaline Thin-Film Solar cells with an Infrared Transmission of ~50%” Prog. In Photovoltaics: Research and Applications, 14 pp. 471-483 (2005). 136	. T.A. Gessert, S. Asher, S. Johnston, A. Duda, and M.R. Young, “Formation of ZnTe:Cu/Ti Contacts at High Temperature for CdS/CdTe Devices,” Proc. 4th WCPVEC, (IEEE, Piscataway, NJ, USA), pp. 432-435 (2006). 137	. H.R. Moutinho, RG. Dhere, C.-S. Jiang, T.A. Gessert, A.M. Duda, M. Young, W.K. Metzger, and M.M. Al-Jassim, “Cross-Sectional Conductive Atomic Force Microscopy of CdTe/CdS Solar Cells: Effects of the Etching and Back Contact Processes,” Proc. 4th WCPVEC, (IEEE, Piscataway, NJ, USA), pp. 404-407 (2006). 138	. H.R. Moutinho, R.G. Dhere, C.-S. Jiang, T. Gessert, A. Duda, M. Young, W.K. Metzger, and M.M. Al-Jassim, “The Role of Cu on the Electrical Properties of CdTe/CdS Solar Cells – A cross-sectional conductive atomic force microscopy study.” J. Vac. Sci. Technol. B 25 (2) 361-367 (2007). 139	. T.A. Gessert, S. Asher, S. Johnston, M. Young, P. Dippo, and C. Corwine, “Analysis of CdS/CdTe Devices Incorporating a ZnTe:Cu Contact,” Thin Solid Films, 515 pp. 6103-6106 (2007). 140	. W. Shafarman, T. Gessert, S. Niki, and S. Siebentritt, Eds., “Thin-Film Compound Semiconductor Photovoltaics,” Materials Research Society Symposium Proc. 865 (MRS, Warrendale, PA, USA) (2005). 141	. J.N. Duenow, T.A. Gessert, D.M. Wood, T.M. Barnes, B. To, and T.J. Coutts, “Transparent Conducting Zinc Oxide Thin Films Doped with Aluminum and Molybdenum,” J. Vac. Sci. and Tech. A, 25 (4) 955-960 (2007). 142	. J.N. Duenow, T.A. Gessert, D.M. Wood, B. Egaas, R. Noufi, and T.J. Coutts, Investigation of ZnO:Al Doping Level and Deposition Temperature Effects on CIGS Solar Cell Performance, Materials Research Society Symposium Proceedings Vol. 1012 (MRS, Warrendale, PA, USA) pp.15-20 (2007). 143	. X, Li, M. Bai, J. Pankow, S.E. Asher, H.R. Moutinho, T.A. Gessert, ”Effects of Different Fluorine Dopants on the Properties of of the Tin Oxide Window Layer and CdTe/CdS Solar Cell,” Materials Research Society Symposium Proceedings Vol. 1012 (MRS, Warrendale, PA, USA) pp. 51-56 (2007). 144	. T.A. Gessert, “Large-Scale Photovoltaic Energy Production from Web-based, Thin-Film Modules,” Proc. 50th Annual Technical Conference of the Society of Vacuum Coaters, Louisville, KY, (2007). 145	. T.A. Gessert. Y. Yoshida, C. Fesenmaier, and T.J. Coutts, High Transparancy Sputtered In2O3 and ITO Films Containing Zirconium, J. Appl. Physics, 105 pp. 083547.1-6 (2009). 146	. T.J. Coutts, D.L. Young, and T.A. Gessert, “Modeling, Characterization and Properties of Transparent Conducting Oxides,” Chapter 3 – Handbook of Transparent Conductors, (Springer, New York, 2010). 147	. T.A. Gessert, K. Durose, C. Heske, S. Marlillac, and T. Wada, Eds., “Thin-Film Compound Semiconductor Photovoltaics – 2007,” Materials Research Society Symposium Proceedings Vol. 1012 (MRS, Warrendale, PA, 2007). 148	. T.A. Gessert, W.K. Metzger, S.E. Asher, M.R. Young, S. Johnston, R.G. Dhere, T. Moriarty, “Effect of Cu Diffusion from ZnTe:Cu/Ti Contacts on Carrier Lifetime of CdS/CdTe Thin Film Solar Cells,” Proc. 33rd IEEE PVSC, Manuscript No. 14 (2008). 149	. R.G. Dhere, Y. Zhang, M.J. Romero, S.E. Asher, M. Young, B. To, R. Noufi, T.A. Gessert, “Investigation of Junction Properties of CdS/CdTe Solar Cells and Their Correlation to Device Properties,” Proc. 33rd IEEE PVSC, Manuscript No. 279 (2008). 150	. J.N. Duenow, D.M. Wood, B. Egaas, T.A. Gessert, R. Noufi, and T.J. Coutts, “ZnO:Al Doping Level and Hydrogen Growth Ambient Effects on CIGS Solar Cells Performance,” Proc. 33rd IEEE PVSC, Manuscript No. 18 (2008). 151	. X. Li, J. Pankow, B. To, T. Gessert, “Comparison Between Research-Grade and Commercially Available SnO2 for Thin-Film CdTe Solar Cells,“ Proc. 33rd IEEE PVSC, Manuscript No. 76 (2008). 152	. J.M. Duenow, T.A. Gessert, D.M. Wood, A.C. Dillon, and T.J. Coutts, “Effects of Hydrogen Ambient and Film Thickness on ZnO:Al Properties,” J. Vac. Sci. Technol. A, 26 692 (2008). 153	. T.A. Gessert, W.K. Metzger, P. Dippo, S.E. Asher, R.G. Dhere, M.R. Young, “Dependence of Carrier Lifetime on Cu-Contacting Temperature and ZnTe:Cu Thickness in CdS/CdTe Thin Film Solar Cells,” Thin Solid Films, 517 pp. 2370-2373 (2009). 154	. L. Zhang, J.L.F. Da Silva, J. Li, Y. Yan, T.A. Gessert, and S-H. Wei, “Effect of Co-Passivation of Cl and Cu on CdTe Grain Boundaries,” Physical Review Letters, 101 (15), 155501 (2008). 155	. J.N. Duenow, T.A. Gessert, D.M. Wood, D.L. Young. T.J. Coutts, “Effects of Hydrogen Content in the Sputtering Ambient of ZnO:Al Electrical Properties,” J. of Non-Crystalline Solids, 354, No. 9-25, pp. 2787-2790 (2008). 156	. T.A. Gessert, Y. Yoshida, C.C. Fesenmaier, and T.J. Coutts, “TCO Films with Permittivity Control,” Materials Research Society Symposium Proceedings 1165, (MRS, Warrendale, PA, USA) pp. 247-252. 157	. F.J. Pern, R.A. Jones, L. Gedvilas, and T.A. Gessert, “A Preliminary Evaluation of Conductive Adhesive Tapes as Potential Interleafing Connects for Flexible Thin Film PV Applications,” Materials Research Society Symposium Proceedings 1165 (MRS, Warrendale, PA, USA) pp. 399-404 (2009). 158	. R.G. Dhere, J N. Duenow, A. Duda, S.E. Asher, W.K. Metzger, H.R. Moutinho, and T.A. Gessert, “Recent Results for All-Dry-Processed CdTe/CdS Solar Cells,” Materials Research Society Symposium Proceedings 1165 (MRS, Warrendale, PA, USA) pp. 61-66 (2009). 159	. J.N. Duenow, R.G. Dhere, A. Duda, T.A. Gessert, “Development of ZnTe Contacts for Cd1-xMgxTe Thin-Film Solar Cells for Tandem Applications,” Materials Research Society Symposium Proceedings 1165 (MRS, Warrendale, PA, USA) pp. 405-410 (2009). 160	. J.N. Duenow, T.M. Barnes, R.G. Dhere, D.S. Albin, A. Duda, J.L. Blackburn, and T.A. Gessert, “Comprarison of Transparent Back Contacts for CdTe Top Cells in Tandem Thin Film Photovoltaic Devices,” Proc. 34th IEEE Photovolt. Spec. Conf., pp. 2443-2447 (2009). 161	. C. Wyse, R. Torres, T. Barnes, M. Scott, M. Young, X. Li, T.A. Gessert, “Sulfur Hexafluoride (SF6) as Fluorine Dopant Precursor for Production of Fluorine Doped Tin Oxide Films by MOCVD,” Proc. 34th IEEE Photovolt. Spec. Conf., pp. 2435-2438, (2009). 162	. R. Sundaramoorthy, I.L.Repins, T. Gannett, Jian V.Li, D. Albin, F.J. Pern, C. DeHart, S. Glynn, J. Perkins, D. Ginley, and T.A. Gessert, “Comparison of Amorphous InZnO and Polycrystalline ZnO:Al as a Conductive Layer for CIGS PV Solar Cells”, 34th IEEE Photovolt. Spec. Conf., pp. 1576-1581, (2009). 163	. R. Dhere, B. Fluegel, A. Mascarenhas, J. Duenow, and T. Gessert, “Investigations of Effects of Processing and Impurities on the Properties of CdTe Using Microscopic 2D PL Imaging Technique,” 34th IEEE Photovolt. Spec. Conf., pp. 1443-1447, (2009). 164	. T.J. Peshek, Z.Z. Tang, L. Zhang, R.K. Singh, B. To, N. Newman, T.A. Gessert, T.J. Coutts, M. van Schilfgaarde, “Suitability of ZnGeAs2 Thin Films for Photovoltaics.” Proc. 34th IEEE Photovolt. Spec. Conf., pp. 1367-1369 (2009). 165	. Z.Z. Tang, L. Zhang, R.K. Singh, D. Wright, T. Pesheck, T. Gessert, T.J. Coutts, M. van Schilfgaarde, N. Newman,” Characterization of ZnGeAs2 Thin Films Produced by Pulsed Laser Deposition, “Proc. 34th IEEE Photovolt. Spec. Conf., pp. 437-439 (2009). 167	. F.J. Pern, S.H. Glick, X. Li, C. DeHart, T. Gannett, M. Contreas, and T. Gessert, “Stability of TCO Window Layers for Thin-Film CIGS Solar Cells upon Damp Heat Exposures – Part III” Proc. SPIE PV Reliability Conference, 8/2-8/6/09, San Diego, CA. 168	. J.V. Li, S.W. Johnston, X. Li, D.S. Albin, T.A. Gessert, and D.H. Levi, “Discussion of Some “Trap Signatures” Observed by Admittance Spectroscopy in CdTe Thin-Film Solar Cells,” J. Applied Physics 108 (6) (2010). 169	. T.A. Gessert, J. Burst, X. Li, M. Scott, and T.J. Coutts, “Advantages of TCO Thin Films with Controlled Permittivity,” Thin Solid Films 519 (21), 7146-7148 (2011). 170	. R. Dhere, M. Bonnet-Eymard, E. Charlet, E. Peter, J. Duenow, J. Li, D. Kuciauskas, and T.A. Gessert, “CdTe Solar Cell with Industrial Al:ZnO on Soda-Lime Glass,” Thin Solid Films 519 (21), 7142-7145 (2011). 171	. T.A. Gessert, R.G. Dhere, J.N. Duenow, J.V. Li, S.E. Asher, M.R. Young, “Comparison of CdS/CdTe Superstrate and Substrate Devices Fabricated with a ZnTe:Cu Contact Interface,” Proc. 35th IEEE Photovolt. Spec. Conf., pp. 335-339 (2010). 172	. R. Dhere, M. Bonnet-Eymard, J.N. Duenow, H. Moutinho, J. Li, M. Scott, D. Albin, T.A. Gessert, “The Effect of Deposition Temperature on Device Properties of Difference TCO’s and Glass Substrates,” Proc. 35th IEEE Photovolt. Spec. Conf., pp. 340-344 (2010). 173	. J.N. Duenow, R.G. Dhere, J. Li, M.R. Young, T.A. Gessert, “Effects of Back Contacting Method and Temperature on CdTe/CdS Solar Cells,” Proc. 35th IEEE Photovolt. Spec. Conf. pp. 1001-1005 (2010). 174	. F.J. Pern, X. Li, S.H. Glick, R. Sundramoorthy, R. Noufi, and T.A. Gessert, “Improved Damp Heat Resistance using Transparent Barrier Oxides for Thin-Film CuInGaSe2 Solar Cells,” Proc. 35th IEEE Photovolt. Spec. Conf., pp. 1166-1171 (2010). 175	. J.M. Burst, T.J. Peshek, T.A. Gessert, T.J. Coutts, X. Li, D. Levi, S.M Weiss, B.R. Rogers, “RF-Sputtered ITO and ITO:Zr Studies by in situ Spectroscopic Ellipsometry,” Proc. 35th IEEE Photovolt. Spec. Conf, pp. 2408-2412 (2010). 176	. R. Sundramoorthy, F.J. Pern, A.L. Lazcano, S. Glynn, C. DeHart, B. To, J. Pankow, and T.A. Gessert, “Glass Cleaning and its Effects on the Damp-Heat Stability of Molybdenum on Soda-Lime Glass,” Proc. 35th IEEE Photovolt. Spec. Conf., pp. 2506-2511 (2010). 177	. X. Li, T. Coutts and T.A. Gessert, “Structural Study of Cadmium Tin Oxide by in situ Sepctroscopic Ellipsometry,” Proc. 35th IEEE Photovolt. Spec. Conf., pp. 1933-1926 (2010). 178	. K.K. Chin, T.A. Gessert, and S-H. Wei, “The Roles of Cu Impurities in CdTe Thin Film Solar Cells,” Proc. 35th IEEE Photovolt. Spec. Conf., pp. 1915-1918 (2010). 179	. R. Sundramoorthy, F.J. Pern, I. Repins, and T. Gessert, “Preliminary Damp-Heat Stability Studies of CIGS Solar Cells Using a Novel Encapsulation Scheme,” Proc. 2010 SPIE Meeting. 180	. T.J. Peshek, L. Zhang, R.K. Singh, Z.Z. Tang, M. Vahidi, B. To, T.A. Gessert, N. Newman, T.J. Coutts. M. van Schilfgarde, “Criteria for Improving the properties of ZnGeAs2 Solar Cells,” Prog. Photovolt: Res. Appl. 21 (5) pp. 906-917 (2013). 181	. T.A. Gessert, “Large-Scale Photovoltaic Energy Production from Thin Film Modules,” Fall 2010 Issue of Society of Vacuum Coaters Bulletin, pp. 16-21 (2010). 182	. J. Ma, S-H. Wei, T.A. Gessert, K.K. Chin, “Carrier Density and Compensation in Semiconductors with Multi Dopants and Multi Transition Energy Levels: The Case of Cu Impurity in CdTe,” Phys. Rev. B. 83 245207 (2011). 184	. T.A. Gessert, R.G. Dhere, J.N. Duenow, D. Kuciacuskas, A. Kanevce, and J.D. Bergeson, “Comparison of Minority Carrier Lifetime Measurements in Superstrate and Substrate CdTe PV Devices, Proc. 37th IEEE PVSC, pp. 1271-1274 (2011). 185	. S-H. Wei, T.A. Gessert, K. Chin, “Carrier Density and Compensation in Cu Doped CdTe with Multi-Transition Energy Levels,” Proc. 37th IEEE PVSC, pp. 2833-2836, 2011. 186	. J.M. Burst, T.J. Peshek, T.J. Coutts, and T.A. Gessert, “Analysis of High Permittivity TCO Layers for Thin-Film PV Devices,” Proc. 37th IEEE PVSC, Seattle, WA, June 20-24, 2011. 187	. R. Banai, C. Blissett, C Buurma, E. Colegrove, P. Bechmann, J. Ellsworth, M. Morley, S. Barnes, C. Lennon, C. Gilmore, R. Dhere, J. Bergeson, M. Scott, T. Gessert, “Polycrystalline CdTe Solar Cells on Buffered Commercial TCO-coated Glass with Efficiencies Above 15%,” Proc. 37th IEEE PVSC, pp. 3410-3414 (2011). 188	. R. Sundramoorthy, G. Teeter, J.V. Li, M. Young, D. Kuciauskas, B. To, F. Yan, S. Johnston, F.J. Pern, R. Noufi, and T.A. Gessert, “Influence f Damp Heat on the Electrical, Optical, and Morphological Properties of Encapsulated CIGS Devices, Proc. 37th IEEE PVSC, pp. 3404-3409 (2011). 189	. S.L. Murray, A.R. Klein, C.S. Murray, K. Schroder, I. Rawson, T. Ju, B.M. Evans III, J.A. Sngelini, D.C. Harper, D. Tillett, C.E. Duty, R.D. Ott, C.A. Clue, J. D. Rivard, T. Gessert, R. Noufi, “Flexible Solar cells in Milliseconds: Pused Thermal Processing of CdTe Devices,” Proc. 37th IEEE PVSC, pp. 3327-3329 (2011). 190	. T.M. Barnes, J. Burst, C. Wyse, M. Scott, R. Torres, and T. Gessert, “Investigation of Alternative Dopants in MOCVD-Growh SnO2:F and Their Effects on CdTe Device Performance, Proc. 37th IEEE Photovolt. Specialists Conf., pp. 2696-2700 (2011). 191	. J.N. Duenow, R.G. Dhere, H.R. Moutinho, B. To, J.W. Pankov, D. Kuciauskas, and T.A. Gessert, “CdS/CdTe Solar Cells Containing Directly-Deposited CdSxTe1-x Alloy Layers,” Proc. 37th IEEE Photovolt. Specialists Conf., pp. 348-353 (2011). 192	. A. Kanevce and T.A. Gessert, “Optimizing CdTe Solar Cell Performance: Impact of Variations in Minority Carrier Lifetime and Carrier Density Profile,” J. of Photovoltaics, 1 (1) pp. 93-103 (2011). 195	. M. Woodhouse, A. Goodrich, R. Margolis, T. James, R. Dhere, T. Gessert, T. Barnes, R. Eggert, and D. Albin, “Perspectives on the Pathways for Cadmium Telluride Photovoltaic Module Manufacturers to Address Expected Increases in the Price of Tellurium,” Solar Energy Materials and Solar Cells, 115, pp. 199-212 (2013). 196	. T.A. Gessert, J.M. Burst, S.-H. Wei, J. Ma, D. Duciauskas, W.L. Rance, T.M. Barnes, J.N. Duenow, M.O. Reese, J.V. Li, M.R. Young, and P. Dippo, “Pathways Toward Higher Perforamnce CdS/CdTe Devices: Te Exposure of CdTe Surface before ZnTe:Cu/Ti Contacting, Thin Solid Films, 535, 237-240 (2013). 199	. T.M. Barnes, J. Burst, M.O. Reese, W. Rance, T. Gessert, K. Zhang, C. Hamilton, K. Fuller, B. Aitken, and C.K. Williams, “Process Development of CdTe Solar Cells Grown at High Temperature on Engineered Glass,” Proc. 38th IEEE Photovolt. Spec. Conf., pp. 3220-3224 (2012). 200	. R.G. Dhere, J.N. Duenow, C.M. DeHart, and T.A. Gessert, “Development of Substrate Structure CdTe Photovoltaic Devices with Performance Exceeding 10%,” Proc. 38th IEEE Photovolt. Spec. Conf., pp. 3208-3211 (2012). 201	. A. Kanevce, D. Duciauskas, T.A. Gessert, D. H. Levi, D.S. Albin, “Impact of Interface Recombination on Time Resolved Photoluminescence Decays (TRPL) in CdTe Solar Cells (Numerical Simulation Analysis), Proc. 38th IEEE Photovolt. Spec. Conf., pp. 848-853 (2012). 202	. P. Kharangarth, D. Misra, G.E. Georgiou, A.E. Delahoy, Z. Cheng, G. Liu, H. Opyrchal, T. Gessert, and K.K. Chin, Investigation of Defects in n+-CdS/-CdTe Solar Cells,” Proc. 38th IEEE Photovoltaics Specialists Conference, pp. 1286-1290 (2012). 203	. J.N. Duenow, R.G. Dhere, D. Kuciauskas, J.V. Li, J.W. Pankow, P.C. Dippo, C.M. Dehart. T.A. Gessert, “Oxygen Incorporation During Fabrication of Substrate CdTe Photovoltaic Devices,” Proc. 38th IEEE Photovolt. Spec. Conf., pp. 3225-3229 (2012). 205	. T.A. Gessert, S.-H. Wei, J. Ma, D.S. Albin, R.G. Dhere, J.N. Duenow, D. Kuciauskas, A. Kanevce, T.M. Barnes, and H.R. Moutinho, “Research Strategies Toward Improving Thin-Film CdTe Photovoltaic Devices Beyond 20% Conversion Efficiency,” Solar Energy Materials and Solar Cells, 119, pp. 149-155 (2013). 206	. T.A. Gessert and D. Bonnet. “Polycrystalline CdTe Photovoltaic Devices,” Chapter 5, Clean Energy from Photovoltaics, 2nd Ed., Mary Archer and Martin Green, Eds. (World Science Publishing, London), 2014. 207	. E. Colegrove, R. Banai, C. Blissett, C. Buurma, J. Ellsworth, M. Morely, S. Barnes, C. Gilmore, J.D. Bergeson, R. Dhere, M. Scott, T. Gessert, and S. Sivananathan, “High-Efficiency Polycrystalline CdS/CdTe Solar Cells on Buffered TCO-Coated Glass,” J. Electronic Materials, 41(10) pp. 2833-2837 (2012). 208	. J. Ma, D. Kuciauskas, D. Albin, R. Bhattacharya, M. Reese, T. Barnes, T. Gessert, and S.-H. Wei, “Dependence of the Minority-Carrier Lifetime on the Stoichiometry of CdTe Using Time-Resolved Photoluminescence and First-Principles Calculations,” Physical Review Letters, 111 pp. 067402 (2013). 209	. T.M. Barnes, J. Burst, M.O. Reese, W. Rance, T. Gessert, J.V. Li, K. Zhang, C.T. Hamilton, K.M. Fuller, V. Aitken, C. Kosik-Williams, “The Effect of Deposition Temperature on CdTe Material Properties and Device Performance,” Solar Energy Materials and Solar Cells, Manuscript No. D-14-00801, (2014). 210	. T.A. Gessert, R. Dhere, D. Kuciauskas, J. Moseley, H. Moutinho, M.J. Romero, M. Al-Jassim, and E. Colegrove, R. Kodama, and S. Sivanathan, “Development of CdTe on Si Heteroepilayers for Controlled PV Material and Device Studies,” MRS Proceedings 1538, pp. 243-248 (2013). 211	. T.A. Gessert, S.-H. Wei, J. Ma, D.S. Albin, R.G. Dhere, J.N. Duenow, D. Kuciauskas, A. Kanevce, T.M. Barnes, H.R. Moutinho, “Research Strategies and Results Toward Improving Thin Film CdTe Photovoltaic Devices Beyond 20% Conversion Efficiency,” Proc. 39th IEEE PVSC, Tampa, FL (2013). 212	. W.L. Rance, J.M. Burst, M,O. Reese, D.M. Meysing, C.A. Wolden, T.A. Gessert, S. Garner, X. Li, P. Cimo, C. Kosik-Williams, and T.M Barnes, “Flexible CdTe Superstrate Solar Cells on Flexible Glass,” Proc. 39th IEEE PVSC, Tampa, FL pp. 1649-1642 (2013). 213	. D.M. Meysing, J.M. Burst, W.L. Rance, M.O. Reese, T.M. Barnes, T.A. Gessert, C.A. Wolden. The Influence of Cadmium Sulfide and Contact Annealing Configuration on the Properties of High-Performance Cadmium Stannate,” Solar Energy Materials and Solar Cells, 117, pp. 300-305 (2013). 214	. W.L. Rance, J.M. Burst, D.M. Seysing, C.A. Wolden, M.O. Reese, T.A. Gessert, W.K. Metzger, S. Garner, P. Cimo, and T.M. Barnes, “14% Efficient Flexible CdTe Solar Cells on Ultra-Thin Glass Substrates,” Applied Physics Letters, 104. 143903 (2014). 215	. J.H. Park, C. Buurma, S. Sivananthan, R. Kodama, W. Gao, T.A Gessert, “The Effect of Post-annealing on Indium Tin Oxide Thin Films by Magnetron Sputtering Method,” Appl. Surface Sci., 307 pp. 388-392 (2014). 216	. J.H. Park, S. Farrell, R. Kodama, C. Blissett, Z. Wang, E. Colegrove, W. Metzger, T. Gessert, S. Sivananthan, “Incorporation and Activation of Arsenic Dopant in Single Crystal CdTe on Si by MBE,” J. Electronic Materials, 43 (8) pp. 2998-3003 (2014). 217	. T.M. Barnes, T.A. Gessert, et. al.,, “Flexible, lightweight CdTe Solar Cells on Thin Glass,” SPIE Conf on. Micro- and Nanotechnology Sensors, Systems, and Applications VI, part of SPIE Defense and Security, Tracking No. DEF14-DS116-45. 218	. T.A. Gessert, B. McCandless, and C. Ferekides, “Thin-Film CdTe Photovoltaic Solar Cell Devices,” Chapter 3, Advanced Concepts in Photovoltaics, A.J. Nozik, M.C. Beard, and G. Conibeer, Eds. Royal Society of Chemistry (RSC) Publishing, London, (2014). 219	. T.A. Gessert, J.N. Duenow, S. Ward, B. To, “Analysis of ZnTe:Cu Contacts for Crystalline CdTe,” Proc. 40th IEEE Photovolt. Spec. Conf., pp. 2329-2333 (2014). 220	. B.R. Faulkner, J.M. Burst, T.R. Ohno, C.L. Perkins, B. To, T.A. Gessert, ZnTe:Cu Film Properties and Their Impact on CdS/CdTe Devices,” Proc. 40th IEEE Photovolt. Spec. Conf., pp. 2321-2325 (2014). 221	. E. Colegrove, B. Stafford, T.A. Gessert, and S. Sivananthan, “Arsenic Doped Heteroepitaxial CdTe by MBE for Applications in Thin-Film Photovoltaics,” Proc. 40th IEEE Photovolt. Spec. Conf., pp. 3261-3265 (2014). 222	. T.B. Barnes, W.L. Rance, J.M. Burst, M.O. Reese, D.M. Meysing, C.A. Wolden, T.A. Gessert, S.M. Garner, P. Cimo, W.K. Metzger, “High Efficiency Flexible CdTe Substrate Devices,” Proc. 40th IEEE Photovolt. Spec. Conf., pp. 2280-2292 (2014). 223	. J.M. Burst, W.L. Rance, D.M. Meysing, C.A. Wolden, W.K. Metzger, S.M. Garner, P. Cimo, T.A. Gessert, T.M. Barnes, M.O. Reese, “Performance of Transparent Conductors on Flexible Glass and Plastic Substrates for Thin Film Photovoltaics,” Proc. 40th IEEE Photovolt. Spec. Conf., pp. 1589-1592 (2014). 224	. T.A. Gessert, J.N. Duenow, S. Ward, J.F. Geise, and B.R. Faulkner, “Relationship of ZnTe-based Contact Process to CdS/CdTe Solar Cell Performance,” Extended Abstract, Proceedings of 2014 U.S. Workshop on Physics and Chemistry of II-VI Materials, Oct. 18-20, Baltimore, MD, Paper No. 4.4 (2014). 225	. T.J. Coutts, J.M. Burst, J.N. Duenow, X. Li, and T.A. Gessert, “A Review of NREL Research into Transparent Conducting Oxides,” Chapter 4 in “Materials Challenges: Inorganic Photovoltaic Solar Energy,” of the Energy and Environment Series. Published by the Royal Society of Chemistry (RSC), Cambridge, UK (2015). 226	. D. Kuciauskas, S. Farrrell, P. Dippo, J. Mosley, H. Moutinho, J.V. Li, A.M. Allende Motz, A. Kanevce, K. Zaunbrecher, T.A. Gessert, D. Levi, W.K. Metzger, E. Colegrove, and S. Sivananthan, “Charge Carrier Transport and Recombination in Heteroepitaxial CdTe,” J. of Applied Physics, 116 (12) pp. 123108 (2014). 227	. T.A. Gessert, E. Colegrove, B. Stafford, W. Gao, S. Sivananthan, D. Kuciauskas, H. Moutinho, S. Farrell, and T. Barnes, “Effects of Stoichiometry in Undoped CdTe Heteroepilayers on Si,” Proc. 42nd IEEE Photovolt. Spec. Conf. pp. 1-5 (2015). 228	. M.O. Reese, C.L. Perkins, J.M. Burst, S. Farrell, T.M Barnes, S.W. Johnston, D. Kuciauskas, T.A. Gessert, W.K. Metzger, “Intrinsic Passivation of CdTe,” J. Appl., Phys. 118 pp. 155305 (2015). 229	. B.R. Faulkner, T.R. Ohno, J.M. Burst, J.N. Duenow, C.L. Perkins, B. To, T.A. Gessert, “The Effects of Sputter Target Preparation and Deposition Temperature on ZnTe:Cu Film Properties,” Proc. 42nd IEEE Photovolt. Spec. Conf. pp. 1-6 (2015). 230	. H.P. Mahabaduge, D.M. Meysing, W.L. Rance, J.M. Burst, M.O. Reese, C.A. Wolden, T.A. Gessert, W.K. Metzger, S. Garner, and T.M. Barnes, “The Effects of Back Contact and Rapid Thermal Processing Conditions on Flexible CdTe Device Performance,” Proc. 42nd IEEE Photovolt. Spec. Conf. pp. 1-3 (2015). 231	. K. Zaunbrecher, J. Burst, S. Seyedmohammadi, R. Malik, J.V. Li, T.A. Gessert, and T. Barnes, “Device Fabrication Using Crystalline CdTe and CdTe Ternary Alloys Grown by MBE,” Proc. 42nd IEEE Photovolt. Spec. Conf. pp. 1-4 (2015). 232	. K. Zaunbrecher, P. Dippo, D. Duciauskas, T.A. Gessert, T.M. Barnes, M. Edirisooriya, P.A.R.D. Jayathilaka, O.S. Ogedengbe, and T.H. Meyers, “Photoluminescence of Crystalline CdTe Double Heterostructures Grown by MBE,” Proc. 42nd IEEE Photovolt. Spec. Conf. pp. 1-4 (2015). 233	. M.O. Reese, J.M. Burst, D.M. Meysing, W.L. Rance, C.A. Wolden, T.A. Gessert, H. Moutinho, S. Garner, and T.M. Barnes, “Mechanism for Improved Flexibility and Optoelectronic Performance of Transparent Conducting Oxides on Flexible Glass Compared to Plastic,” Proc. 42nd IEEE Photovolt. Spec. Conf. (2015). 234	. T.A. Gessert, E. Colegrove, B. Stafford, W. Gao, D. Kuciauskas, H. Moutinho, S. Farrell, T. Barnes, and S. Sivananthan, “Undoped Heteroepitaxial CdTe on Si for Model PV Solar Cell Studies,” Extended Abstract, Proceedings of 2015 U.S. Workshop on Physics and Chemistry of II-VI Materials, Oct. 5-8, Chicago (2015). 235	. T.A. Gessert, E. Colegrove, B. Stafford, R. Kodama, W. Gao, H.R. Moutinho, D. Kuciauskas, R.C. Reedy, T.M. Barnes, and S. Sivananthan, “II-VI Material Integration with Silicon for Detector and PV Applications,” MRS Advances, 1 (50) 3391-3402 (2016). 236	. T.A. Gessert, B.R. Faulkner*, J.M. Burst†, J.N. Duenow†, C.L. Perkins†, and B. To, “Importance of Target Preparation on Electrical and Optical Properties of ZnTe:Cu Contact Interface Layers”, Extended Abstract, Proceedings of 2016 U.S. Workshop on Physics and Chemistry of II-VI Materials, Oct. 18-20, Baltimore, MD (2016). 237	. B. Stafford, S. Farrell, E. Colegrove, D. Kuciauskas, H. Moutinho, R. Kodama, W.K. Metzger, S. Sivananthan, and T.A. Gessert, “Effects of Cd- and Te-rich Growth Environments on MBE-Grown CdTe:As,” Proceedings of 2015 U.S. Workshop on Physics and Chemistry of II-VI Materials, Chicago, Oct. 5-8, 2015, To Be Pub. J. Electronic Mater (2017).